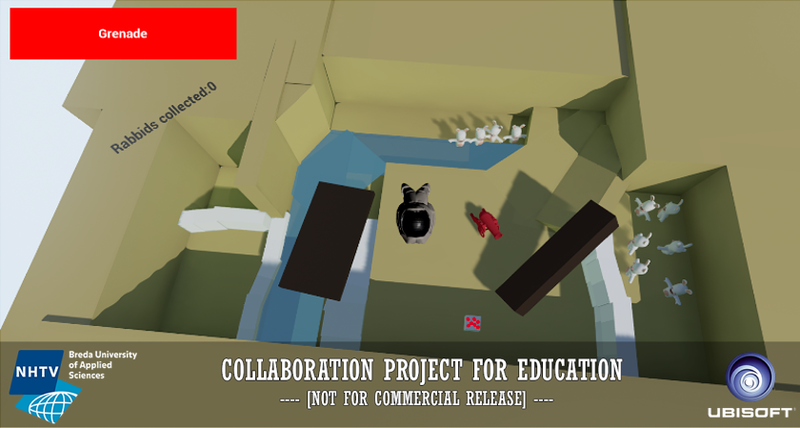 As part of the educational program, Project Plungers is a collaboration project between NHTV University of Applied Sciences and Ubisoft for in-house experimentation with Virtual Reality, in the form of a herding game using the Raving Rabbid’s IP. The players are tasked to get the Rabbids from point A to B while overcoming many obstacles. The player can use their hands to herd Rabbids around from island to island. On top of that they can use cannons to shoot Rabbids around, pieces of rubble to form bridges, and many more interactions to help the Rabbids with the ultimate goal of getting them to their beach party. The focus in the game is on creativity and having fun with the Rabbids. I joined in for the second quarter of the project. Sadly the first quarter had not been very successful, and we were only able to salvage the art from that time - the design and programming had to start over. I lead the design department as we tried to define what sort of gameplay we wanted to use. It involved a lot of collaboration between the art, tech and design department but at the end of this quarter we had solidified most of the gameplay and figured out where the game was going to go. I left the project because I believed the project was now heading in a really good direction, and I trusted the team members that stayed to ensure it would continue to be successful, as I went on to help The Red Stare work with management and puzzle design. ​As we had to start over defining the gameplay, we created a lot of prototypes during my time at Plungers. I set up the original project and prototyped the AI, interactive objects, and learned a lot about setting up VR projects. One of the things I worked on was making sure we could test our game outside of VR as well, which proved incredibly useful as we had limited access to VR devices. Together with fellow designers and programmers, we expanded on the prototype and figured out what interactions we wanted to use throughout the block. 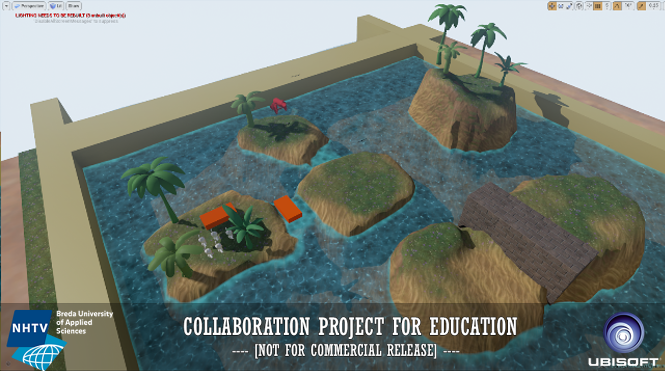 We struggled for a couple of weeks to really figure out what we were aiming for - but near the end of the block we managed to make something we were happy with and we managed to make the lecturers and Ubisoft representative happy with what we showed. I made a number of levels to try out whether our gameplay and mechanics worked. 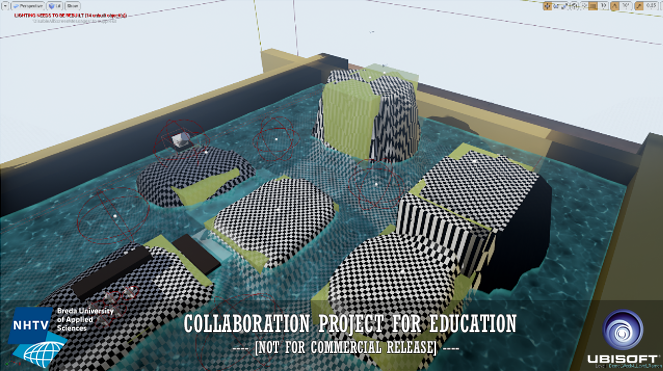 On top of that, we needed to show and prove our game to our lecturers and to representative from Ubisoft, which I also created levels for. The initial couple of levels were really just made to try our mechanics or a combinations of mechanics and how well that would work in VR. Later levels were also created in the setting they were meant to be in - which involved working with artists to make it pretty enough to show off. Through creating these levels I realized we needed ways to gate players before they can use all objects in the level. This eventually turned into bringing Rabbids to broken down objects to reconstruct them, which we used for a number of mechanics. There were a lot of aspects of the game that evolved through testing them out in a level similar to this. The third level I made used sculpting and had a lot more involvement from art, aiming to show how our gameplay would work in the setting we chose. - We played around with movement a lot, at first wanting not to do any, then trying specific points, and then deciding to have teleporting on the water only. - Placing objects created a lot of hassle with collisions, so I made a system where we could place objects partially inside of terrain, but to make sure players wouldn't lose them they would be moved to lay on top of the terrain if they went too far into the ground.